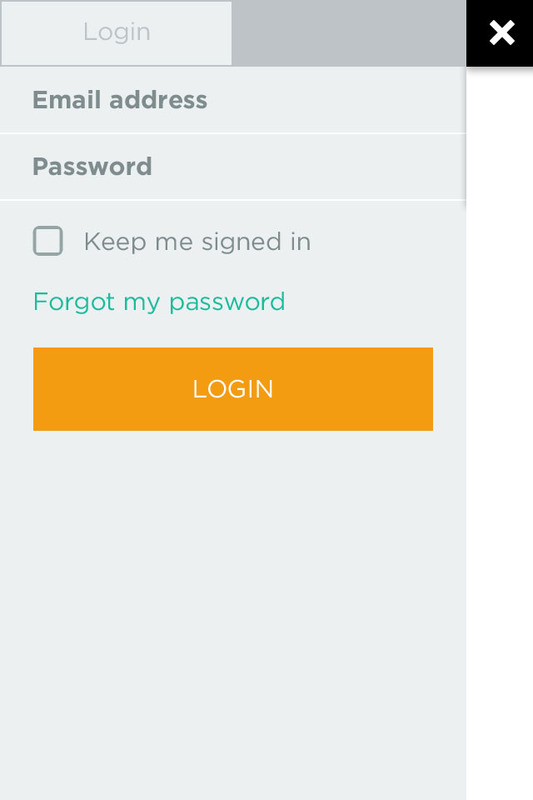 Basically my requirement is to show a login screen to the user using the sliding out navigation like Facebook slide out menu. 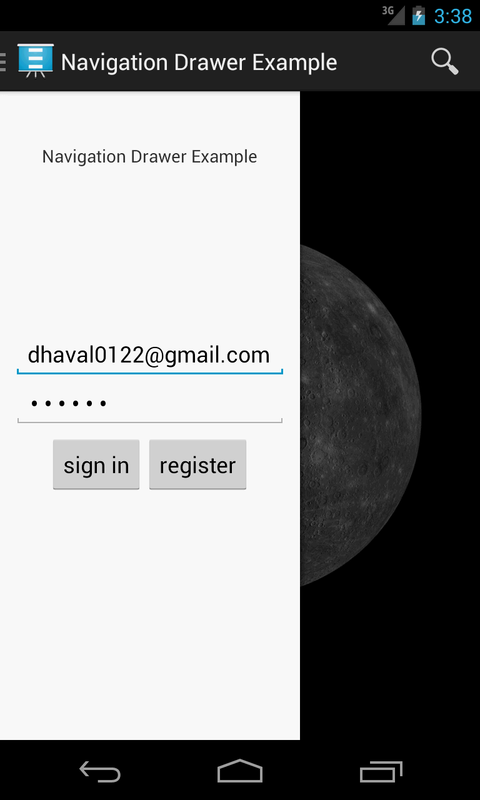 I tried the navigation drawer example available on android developers website it shows only using list view. Can any one tell me please is it possible to show a activity using navigation drawer? could any one please help me to get rid of this? i have edited Navigation Drawer Example download it. change it below way. // The action bar home/up action should open or close the drawer. // ActionBarDrawerToggle will take care of this. // Sync the toggle state after onRestoreInstanceState has occurred. space available using match_parent in both dimensions. languages and on the right side for right-to-left languages. activity_login.xml --> do your design whatever you want. Yes you can do it without actionbar. i have just add this line getActionBar().hide(); at end of onCreate() in MainActivity. android widget for drawer -> SlidingDrawer But u cannot use it only for an activity. better approach i would prefer for u is use of fragments. Not the answer you're looking for? Browse other questions tagged android android-layout layout android-listview or ask your own question. how to implement navigation drawer without action bar but opens the navigation screen with a button on main screen?